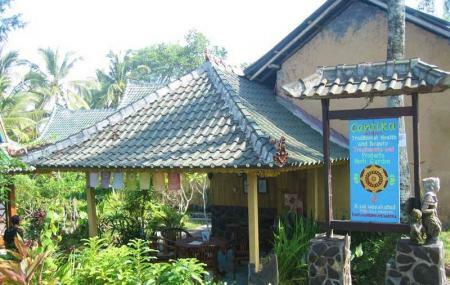 Çantika Alami is the best house of natural health and beauty in Ubud. It has been devoted itself to listen to the words of mother earth and to receive the messages of the plants. Here you will get treatment of nature to nourish your physique. In three different sections of Çantika Alami – Jasmine, Alami and Zest you will get the spa services of your choice. Various workshops on beauty treatment are also organized by this center. To get the best relaxing treatment for yourself, book your date in advance. How popular is Cantika Alami Spa? People normally also visit Bali Zoo while planning their trip to Cantika Alami Spa. Such a lovely time. So relaxed afterwards I could barely stay awake! And the next day I still feel more relaxed than I can remember. Note that the prices went up October 1 though and it's now 175k for a 60-min traditional Balinese massage. **Edit** I've tried other places since this one and it's hands down the best!!! Clean, great products, skilled masseuses, quiet comfortable atmosphere. Had cream bath head massage and foot massage with Ade ( I think). Her skill is very good and I fell sleep. Will definitely go back! We decided to go after reading the reviews, but we were pretty dissapointed. The massages were good, but they should really clean up the place and opt for a nicer person to welcome you. Wouldn't go again. We took a massage together, they offer that for couples, massage in the same room, at the same time. The massage was good, but the setting was amazing, in a barn that has outside views, relaxing while hearing the jungle nature was bliss. We had the scrub too and soaked in the bath of flowers after. they’re famous for their natural organic products they’re using, from their own cosmetic brand, smelled and felt delicious. Horrible place. Bad management. Do not go here. Plenty of wonderful places.